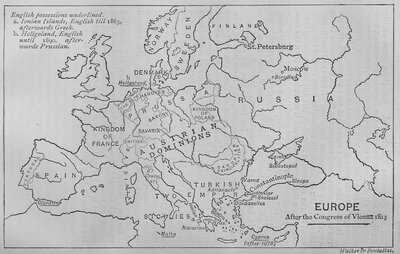 EUROPE AFTER THE CONGRESS OF VIENNA, 1815. This illustration is from F. York Powell and T. F. Tout, "History of England," Part III. Send Comment about EUROPE AFTER THE CONGRESS OF VIENNA, 1815.